There are few forms of communication that have the ability to transcend the barriers of human speech, yet also be interpreted uniquely t0 each individual according to their background & beliefs. Art has, for millennia, proven to be one of the most effective forms of communication, liberating both the artist and the witness to perceive their own independent experience and response, based solely upon their distinct value system. Art has helped to shape cultures and inspire movements since the beginning of time. Meet Shane Miller. He is an artist in Nashville, TN, who has spent a majority of his life crafting the visual representations of a déjà vu or distant memory using only a brush and canvas. His art is somewhat haunting and mysterious, but oddly familiar. Most would say that his work surfaces a nostalgic feeling that they can't quite put their finger on, but has always been there. We were blessed to get to know Shane and to capture his story and his work, raw and unfiltered. It is with our greatest pleasure that we get to share with you an interview with the iconic Shane Miller. 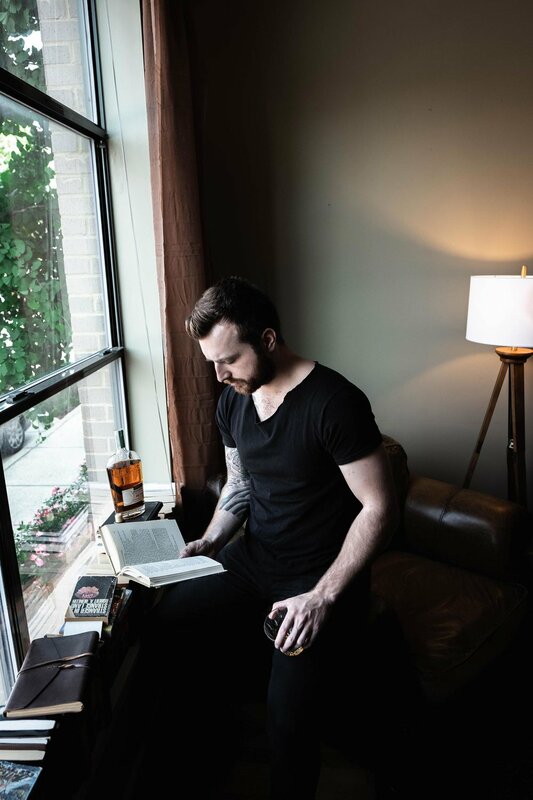 Shane: I am an artist based out of Nashville, TN. 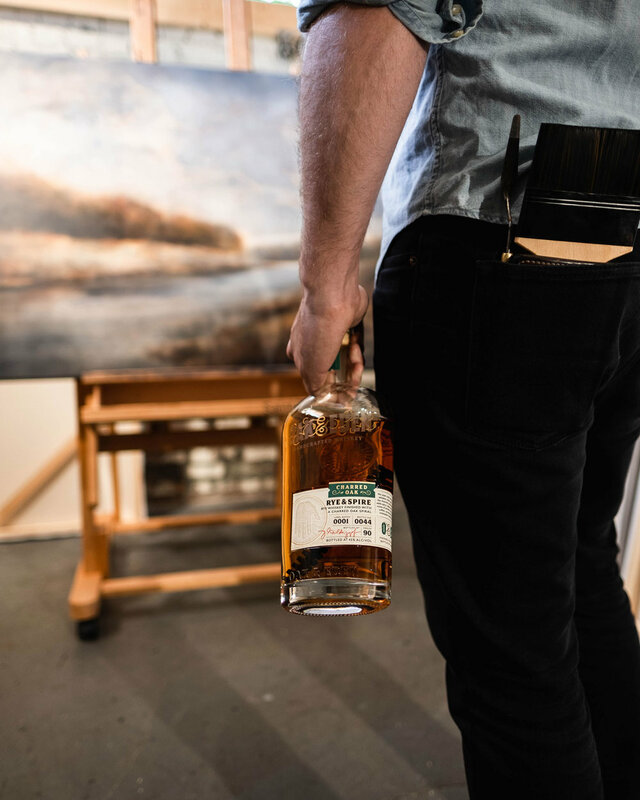 I spend most days painting landscapes in my studio, reading books, and drinking whiskey. Give us a day in the life of you. Shane: I’m a creature of habit. Most days consist of morning coffee, reading, painting in the studio for a few hours, emails, and more reading. What was your childhood and upbringing like? Shane: My parents are both creative in their own right and encouraged me to explore the arts from a young age. I played the guitar quite a bit when I was younger and always thought I’d always choose music over painting, but it seems I was wrong in my assumption. I have four siblings, so there was never a dull moment. What inspired you to get into art? Shane: Growing up, I often enjoyed drawing all sorts of random things from my imagination. As I got older, drawing naturally progressed into painting and I kept with it as a pass time through high school and college. After working the nine-to-five for five years after college, I started touring as a guitarist for an independent country artist here in Nashville. When I wasn’t on the road, I spent most of my time painting. When the year was over, I decided to paint full time and here I am two years later. It’s been the most rewarding choice I’ve made. Self-employment comes with its own set of obstacles, but being able to explore my art full time far outweighs the struggles. Your art evokes this feeling of recalling a dream or distant memory. Is this intentional? Shane: Indeed it is. I often say I paint what I feel, not what I see. I believe the landscapes are catalysts to feeling something we don’t often feel through the typical day. I hope when someone views my work, they can slow down and reflect on their own memories and emotions. Shane: My father. He’s patient, kind, and I respect him for the sacrifices he has made to support his family. Shane: I believe art comes in all forms and means many different things to all people. If what I’m hearing or seeing moves me, then I consider it art. Every artist is creating something that they are trying to communicate to the world. What is it that you are trying to communicate? Shane: My hope is that my work is a mirror — a place for the viewer to reflect on their personal journey, emotions, and state of mind. Shane: A good bourbon is great, but a good rye is greater.